Dr. Abhinav Agarwal - M.B.B.S, DNB (PAED. Child Specialist in Vaishali. Consultant New Born & Paediatrician In Vaishali, Ghaziabad. Dr. Ajay Jain - MBBS, MS (PGI, Chandigarh), DNB Otolaryngologist and Head & Neck Surgeon. Dr. Ajay Jain - MBBS, MS (PGI, Chandigarh), DNB Otolaryngologist and Head & Neck Surgeon. Ent Specialist In Kaushambi Ghaziabad near Indirapuram, Vaishali Ghaziabad. Dr. Akash Jain - M.B.B.S., M.D. Dr. Aman Arora - B.D.S., M.D.S (Prosthodontics) Dentist in Ashok Vihar. Dentist In North Delhi. Dr. Amit Sharma - B.P.T., M.I.A.P. Dr. Amitabh Khanna - M.B.B.S., F.C.C.P. Cardiologist In Dwarka, West Delhi. Diabetologist In Dwarka, West Delhi. Dr. Anubhav Gupta - MS., Mch., D.N.B - General Surgery, Plastic Surgery Cosmetic Surgeon In West Delhi. Plastic Surgeon In West Delhi. Cosmetic & Plastic Surgeon In Janakpuri. Cosmetic & Plastic Surgeon In Dwarka, West Delhi. Dr. Anupama Khanna - MBBS, DGO Senior Consultant Gynaecologist In Dwarka, West Delhi. Obstetrician In Dwarka, West Delhi. Dr. Aparna Gupta - MBBS, DGO Gynecologist In Anand Vihar. Dr. Arvind Shakya - BVSc & AH (Hons). Dr. Ashit Bhagat - MBBS, M.D. Dr. Ashok Singh / Dr. Deepa Singh - M.B.B.S., M.S. / M.B.B.S., M.S. Dr. Asif Iqbal - M.B.B.S., M.D. Dr. Atul Chopra - M.B.B.S., M.D. Dr. Avinash Gupta - B.H.M.S. Dr. Bharti Tomar - BDS MDS (Gold Medalist) BDS ( MCODS, Mangalore. MANIPAL UNIVERSITY ) MDS ( GDCH AHMEDABAD, GUJARAT UNIVERSITY). Ex senior resident ( UCMS and GTB Hospital). Dr. C.S Baiju - M.D.S., Professor & H.O.D Department of Periodontics & Implantology Sudha Rustagi College of Dental Science & Research Faridabad. Dentist in Vikaspuri, West Delhi. Dr. Chakshu - M.P.T.,B.P.T.,C.D.N.P. (SOUTH AFRICA),C.M.T.,PGDNR,CKTT,P.I. Bachelor in Physiotherapy (kurukshetra university). Physiotherapist In Patel Nagar. Dr. Chakshu's PAIN FREE ZONE - M.P.T.,B.P.T.,C.D.N.P. (SOUTH AFRICA),C.M.T.,PGDNR,CKTT,P.I. PHYSIOTHERAPIST FOR HOME VISIT IN DELHI. PHYSIOTHERAPIST IN WEST DELHI, PATEL NAGAR. Dr. Chanchal Bhattacharya - MSVM (USSR). Dr. Chandan Choudhary - M.B.B.S. (Hons), M.S., M. Ch (Urology), Gold Medalist Sr. Consultant Urologist, Andrologist & Infertility Expert. Dr. Dax Abraham - B.D.S., M.D.S. Dr. Deepak Kumar Arora - MBBS, MS (Orthopaedic) Joint Replacement Specialist & Arthroscopic Surgeon. Dr. Deepak Rai - M.D.S, M.I.S.O.I, M.A.O.I ORTHODONTIST Dentist in Noida. Dental Surgeon in Noida. Dr. Deepak Saran - MBBS, MS, FRCS, (Glasgow) U.K.
Dr. Deepak Sarin - MBBS, MD PAED. Dr. Deepak Sehgal - M.B.B.S., M.D., D.C.H. Dr. Deepender Chauhan - M.B.B.S, MS, DNB FRCOphthal (Glasgow, UK). Dr. Devvrat Singh - B.D.S., M.D.S., M.I.D.A., M.I.E.S., M.F.O.D.I., FAGE (Manipal). Consultant Endodontist & Cosmetic Dentist in Vaishali, Ghaziabad. Dr. Dheeraj Wadhwa - B.H.M.S, MD, NHMC (DLI) Homeopathic Doctor in Delhi Homeopath In Delhi Homeopathic Physician Delhi. Dr. Gaurav Nakra - MD (Dermatology & Venereology), Gold Medalist. DHI Certified Hair Specialist (U.K). Skin Specialist In East Delhi. Dermatologist In East Delhi. Dr. Gautam Unny - B.V.Sc., M.I.S.V.S. Dr. Harit Chaturvedi - M.B.B.S., M.S., M.ch. Dr. Himanshu Bhola - B.H.M.S., Silver Medalist. Homeopathic Doctor in Hari Nagar, Near Subhash Nagar, West Delhi. Specialist Homeopathic Doctor for Psoriasis, Sinusitis & Thyroid in West Delhi. Dr. Hirday Kapoor - MBBS, D.G.O. D.N.B. Gynecologist in Patel nagar. Gynecologist in Inderpuri. Dr. Hitesh Khurana - B.P.T., C.O.M.T., M.D.C.P.T., M.I.A.P. Sr. Consultant Physiotherapist in Krishna nagar, East Delhi. Dr. ILa Gupta - MBBS, MD, (Gynae & Obs.) Gynecologist In Surya Nagar. Gynecologist In Ramprastha. Dr. Indu Chhabra - M.B.B.S., M.D., F.I.C.M.C.H. Dr. Jaslin Kaur Oberoi - B.H.M.S (N.H.M.C, Delhi University ), M.D (Hom.)(Pb.) , DNHE (IGNOU). Dr. Javed Khan - P.T Sr. Consultant Physiotherapist M.P.T. (Musculo- Skeletal) Ortho Specialist, M.I.A.P, D.C.P. Dr. Jigyasa Wadhwa - B.H.M.S, MD, NHMC (DLI) Silver Medalist. Specialist in Female Diseases Homeopathic Doctor in Krishna Nagar, East Delhi. Dr. Jotsna Aggarwal - MBBS, MD-Paed. Dr. Jyoti - B.P.T Consultant Physiotherapist in Laxmi Nagar, East Delhi. Dr. Jyoti Agarwal - M.D (Gynaecologist & Obstetricis IVf & Infertility Expert Doctor In East Delhi. IVF Specialist In East Delhi. IVF Clinic In East Delhi. Dr. Jyoti Bhaskar - MD (LHMC, DELHI) MRCOG (LONDON). Gynecologist in Vaishali. Gynecologist in Ghaziabad. Dr. K.K. Aggarwal - MBBS, MD-Paed. Dr. Kanika Goel - B.P.T., M.T.F.I., M.I.A.P Formerly At Dr Ram Manohar Lohia Hospital. Dr. Karuna Malhotra - BHMS(Delhi), PGDPPHC(Apollo Hospital), NDDY(Delhi). Homeopathic Doctor in Kirti Nagar, Ramesh Nagar,West Delhi. Dr. Karuna Malhotra - BHMS(Delhi), PGDPPHC(Apollo Hospital), NDDY(Delhi). Cosmetologist in Rajouri Garden near Kirti Nagar, West Delhi. Dr. Kedarmal Aggarwal - MBBS, MD-Psych. Dr. Kunal Das - MD(MAMC) DM(Gastroenterology). Gastroenterologist, Interventional Endoscopist and Endosonologist Max Superspeciality Hospital. Formerly at Sir Ganga Ram Hospital. Dr. Lokesh Bansal - MBBS, D.Orth. Dr. Manish Jain - MBBS (MAMC) M.D. (Psychiatry MAMC). Psychiatrist In Shahdhara. Psychiatrist In Ram Vihar Near Anand Vihar. Dr. Manish Jain - MBBS (MAMC) M.D. (Psychiatry MAMC). Dr. Manjeet Kumar Sinha - BPT (Manipal), MPT (Neuro), FAGE, BYT Physiotherapist In Preet Vihar. Dr. Manoj Bansal - MS (General Surgery) Mch (Plastic Surgery). Cosmetic and Plastic Surgeon in East Delhi. Cosmetic and Plastic Surgeon in Vaishali, Ghaziabad (Max Vaishali Hospital). Dr. Manoj Kumar - B.D.S., M.I.D.A Dentist In Indirapuram. Oro Dental Surgeon in Indirapuram. Dr. Meena Nihalani - MBBS. MS (ENT,DELHI), MRCS(LONDON), DOHNS(LONDON). 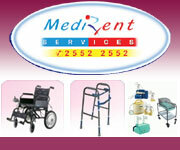 ENT Specialist In Noida. ENT Doctor In Noida. ENT clinic In Noida. Dr. Mohit Sachdev - B.D.S , M.I.D.A , M.S.O.L.A , MASTERS IN ORAL LASERS (VIENNA) AUSTRIA, EUROPE. An ISO 9001:2008 Certified Dental Clinic In Preet Vihar, East Delhi. Dentist In East Delhi. Dr. Monika Jain - M.B.B.S., D.G.O. Dr. Neelam Kumar Bohra - M.B.B.S., D.P.M., M.D., WPA (Diploma), F.A.P.A. Dr. Neeraj Sanduja - M.S. Dr. Neeraja Singhla - B.D.S., M.D.S., C.A.I.D., A.C.O.I, P.G.D.H.H.M., P.G.D.M.L.S. Dr. Neha G Aggarwal - B.D.S (General Dental Surgeon & Cosmetic Dentist). Dr. Neha Malhotra - B.D.S, M.I.D.A, F.A.G.E (Manipal). Endodontist & Esthetic Dental Surgeon. Ex- Resident Dr Hedgewar Govt Hospital. Dr. Nishank Mittal - M.S., D.N.B., M.N.A.M.S., F.M.R.F., F.A.G.E (Vitreo-Retina Fellow - Sankara Nethralaya, Chennai). Eye Specialist in Rajouri Garden. Retina Specialist in West Delhi, ROP Specialist in West Delhi. Dr. Nivedita Kaul - MD (AIIMS), MRCOG(UK). Former Associate Specialist, University of California San Francisco (UCSF), USA. Dr. P.N. Sarin - MBBS, MD INTERNAL MED. Dr. Pankaj Kumar - MBBS, MD (Psy) (KGMC, LKO) MIPS, MIMA, MIAPP. Psychiatrist in Ghaziabad. Dr. Pankaj Kumar - MBBS, MD (Psy) (KGMC, LKO) MIPS, MIMA, MIAPP Psychiatrist in east delhi. Dr. Pawan Chaudhary - B.H.M.S. Dr. Pawan Gupta - B.H.M.S. ( DLI ) M.D. Dr. Prabhas Verma - M.B.B.S., F.C.G.P. Dr. Prachi Kapte - B.H.M.S. Dr. Prof Ashish Gupta - B.D.S,M.D.S.,MIPS,PGDHCM Dentist in Pitampura. Certified Implantologist in Pitampura. Dental Clinic In Pitampura. 1st Laser Dental Clinic 1st Ozone therapy clinic for Gums Problem in Pitam Pura, North Delhi. Dr. Prof Parul Gupta - B.D.S.,MIOS,M.D.S (Orthodontist) Dentist in Rohini. Orthodontist in Rohini. Dr. Pushpa Sharma - B.D.S Cosmetic Dental Surgeon Root Canal Treatment Specialist In Paschim Vihar. Dr. Pushpinder Singh Mehta - MBBS (UCMS & GTB hospital), DA (MAMC), DNB, PDCC (Pain Management & palliative care, BHU). Dr. R.D Singh - B.H.M.S, (Delhi) D.M.C.P.R (U.K). Homeopathic Doctor in Rajouri Garden, West Delhi. Dr. R.D Singh. - B.H.M.S, (Delhi) D.M.C.P.R (U.K). Homeopathic Treatment For Pets and Animals in Vasant Vihar, South Delhi. Dr. R.K Nabh - MBBS, DCH, PAEDIATRICS D.O.M.S (Delhi). Vice President IAP - Delhi State Child Specialist in East Delhi. Dr. Radha Anand - MBBS, PGDMCH-GEN-PAED. Dr. Rajat Jain - M.B.B.S., M.S (Gold Medalist), FICO-UK Cornea & Anterior Segment Fellow: L V Prasad Eye Institute Former Consultant- L V Prasad Eye Institute. Cornea Eye Specialist In Shalimar Bagh, North Delhi. LASIK in Shalimar Bagh, North Delhi. Dr. Rajat Mathur - B.D.S., M.D.S., F.A.G.E. Dental Implant Specialist & Micro Endodontist. Dr. Rajeev Gupta - MBBS., M.S (Ophth) MAMC (Delhi). Eye Specialist In Preet Vihar, Anand Vihar. Dr. Rajeev Gupta - MBBS., M.S (Ophth) MAMC (Delhi). Dr. Rajiv Aggarwal - MBBS, DA-Anaes. Dr. Rakesh Kartar Ahuja - MBBS, DIP. Dr. Rakesh Kumar Jain - M.B.B.S., M.D. Dr. Rakesh Pandit - M.B.B.S. M.D. Dr. Ranjan Sachdeva - MBBS,MD Radio Diagnosis, Maulana Azad Medical College, Delhi. Dr. Rita Bakshi - MBBS, DGO, MD (OBs &Gynae) Diploma in ART (Assisted Reproductive Techniques), Diploma in Endoscopy. Dr. Rohit Batra - MD (Dermatology, Venereology & Leprology) Adult, Pediatric Cosmetic Dermatologist & Dermatosurgeon Sr. Consultant At Sir Ganga Ram Hospital, Rajinder Nagar, Patel Nagar. Dr. Rohit Batra - MD (Dermatology, Venereology & Leprology). Dermatologist In Karol Bagh. Skin Specialist In Karol Bagh. Dr. S.K. Choudhary / Dr. (Mrs.) P. Choudhary - B.V.Sc. & A.H., M.I.S.V.S. / B.V.Sc.& A.H., M.V.Sc. Dr. Sangeeta Goel - M.B.B.S., M.D., D.G.O. Dr. Sanjai Kumar - M.B.B.S., M.D. (Medicine) SPECIALIST PHYSICIAN General Physician for Diabetes, Hypertension, Respiratory, Cardiac, Thyroid & Intestinal Diseases in Indirapuram. Dr. Sanjay Chaudhary - M.B.B.S, M.S. Dr. Sanjay Garg - MBBS, MS, M.Ch- Urology/Genito-Urinary Surgery Urologist In Ghaziabad, Indirapuram. Andrologist Sexologist In Ghaziabad, Indirapuram. Dr. Satyavati Devi - M.B.B.S., D.G.O., D.P.M., M.R.C.P. Dr. Seema Goyal - B.D.S. Dr. Shaiil Gupta / Dr. Ruchi Agarwal - M.B.B.S. from University College of Medical Sciences, Delhi and M.D. (Dermatology, Venereology & Leprology) from Maulana Azad Medical College, Delhi. Dr. Sharda Jain - MD (PGIMER), MAMS, FICOG, FIMSA, DHM. DR. JYOTI AGARWAL M.D Gynecologist in East Delhi. Gynecologist in Preet Vihar. IVF SPECIALIST IN EAST DELHI. Dr. Sharda Jain - MD (PGIMER), MAMS, FICOG, FIMSA, DHM. Infertility IVF Specialist in East Delhi. Dr. Shashi Gupta - M.D. Homeopathic Physician & Consultant. Dr. Sheeba Thomas - B.H.M.S. Dr. Shilpa Ghosh - MBBS, M.S. Dr. Shoaib Zaidi - M.B.B.S., M.S., M.ch. Dr. Shweta Gupta - M.B.B.S., D.C.H. Dr. Shweta Sharma - B.D.S Dentist in Patel Nagar. Dental Clinic in Patel Nagar. Dr. Simran Saini - DIETICIAN DIETICIAN & NUTRITIONIST IN PATEL NAGAR, WEST DELHI. Dr. Sricha Sharma - M.B.B.S. (Hons. ), D.C.H. Dr. Sumit Goel - B.D.S., M.I.D.A ( Orthodontist & Implantologist In Shahdara). Dentist In Shahdara. Dr. Sumit Gupta - B.D.S., MIARD, DGOI (Germany), USc (U.S.A) Senior Consultant Dental Surgeon & Implantologist. Senior Lecturer - Cosmic Academy of Oral Implantology (Lucknow). Dr. Sunil - M.B.B.S., M.D., (SKIN & V.D), F.A.G.E Skin Specialist in Rajouri Garden. Hair Specialist in Rajouri Garden. Dr. Sunil Awana - M.B.B.S., C.C.S.T Psychiatry (U.K) D.N.B., D.P.M., M.N.A.M.S., F.I.P.S Consultant Psychiatrist Narinder Mohan Hospital. Dr. Sunil Kumar / Dr. Anjali Sharma - MBBS,Post Graduate MF (Hom), Faculty of Homeopathy, England, Post Graduate DHM, British Institute of Homeopathy, England, Member ‘European Council of Classical Homeopathy’ ECCH. Dr. Suruchi Puri - M.B.B.S., M.D(Skin & V.D. MAMC) Skin Specialist In Janakpuri, West Delhi. Cosmetologist in Janakpuri, West Delhi. Dermatologist in Janakpuri, West Delhi. Dr. T.A Rana - M.B.B.S, MD (Dermatologist) Skin Specialist In Greator Noida Dermatologist In Greator Noida Venerologist In Greator Noida Cosmetic Laser Surgeon In Greator Noida. Dr. Umesh Jain - M.B.B.S., D.V.D. Dr. Vandana Chaddha - M.B.B.S., M.D. Dr. Vijay S. Pandey - MBBS, MS, FIAGES, FALS Senior Consultant-General, Advance Laparoscopic & BARIATRIC (Weight loss) Surgery. Laparoscopic Surgeon in Indirapuram & Vasundhara, Ghaziabad. General Surgeon in Indirapuram & Ghaziabad. Dr. Vivek Kapoor - MBBS, D.path.